Shortbread is certainly one of life's small pleasures: crispy, tantalizingly buttery, and when done right, the perfect combination of sweet and slightly salty. With only three main ingredients (flour, sugar and butter--with a dash of salt for good measure)--traditional shortbread isn't a complex thing, but we would be hard-pressed to call it simple food. Because certainly there is an art to mixing those ingredients, to yielding the elusively perfect, buttery crumb. But what else lies beneath this humble cookie? 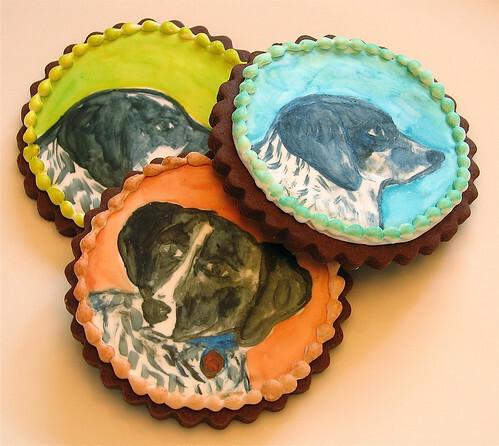 We took some time to think about various aspects of the cookie--here's what we discovered. First off, where does the cookie come from? As Historic-UK.com informs us, the story of shortbread begins with the medieval biscuit ("twice-baked"), wherein leftover bread dough was baked a second time to form a type of rusk--this is to say, if you picture a family tree of cookies, this would mean that shortbread, rusks and biscotti all share some relatives. While by some accounts they existed as far back as the 12th century in Britain, it seems to us that it is truly Scotland where shortbread as we know it was developed: it is here that gradually the yeast began to be replaced with butter, and oat flour, which were some of their agricultural staples. These "short" bread cookies were a fancy dessert, reserved for the wealthy and for special occasions. And certainly their popularity was bolstered by the fact that in the 16th Century, they are said to have been a favorite of Mary, Queen of Scots (she liked a variation which included caraway seeds, in case you were interested). Why are they called "short"? short pastry is a nonyeast pastry that has a high ratio of butter to flour. Short pastries bake up crumbly rather than chewy and tend to keep well, owing to their high fat content. What is the proper shape for a traditional shortbread cookie? 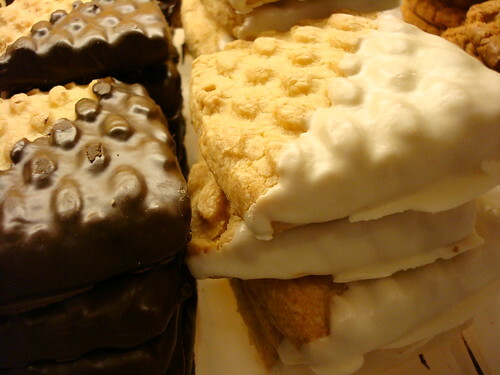 Shortbread is traditionally formed into one of three shapes: one large circle divided into segments ("Petticoat Tails"); individual round biscuits ("Shortbread Rounds"); or a thick rectangular slab cut into "fingers." Of course, having taste-tested each of these traditional variations, we can report that while they may differ in look, each shape is delicious. 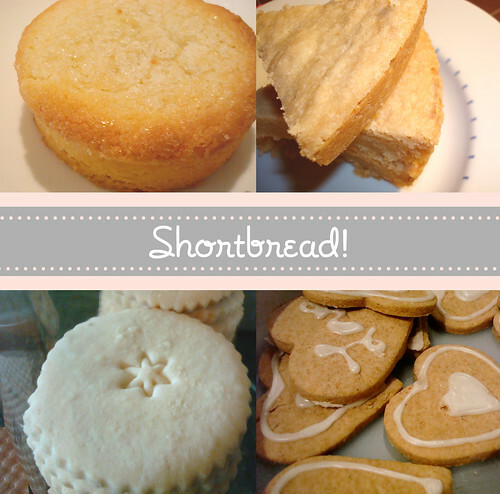 What is the best shortbread cookie recipe? These days, shortbread recipes are available in a dizzying array of flavors and variations: and from chocolate peanut butter to gorgeously decorated chocolate shortbread (above, photo c/o Whipped Bakeshop) to Earl Grey to cherry almond to even lavender vegan variations, we have enjoyed many of them. But moreover, we love this simple, classic recipe, which is a wonderful springboard for variations (note: though it can be made into round cookies rather than a big round, it is a fragile dough so may be harder to handle in that way). Preheat oven to 300°F. Lightly butter 9-inch-diameter springform pan (we couldn't find ours so used a pie plate--it worked just fine!). Whisk flour, sugar, and salt in medium bowl to blend. Add 1/2 cup butter and rub in with fingertips until mixture resembles coarse meal. Gather dough together and form into ball; flatten into disk. Roll out dough on lightly floured surface to 1/2-inch-thick round. Transfer round to prepared pan. Using fingers, press dough evenly over bottom to edges of pan. Using tip of small sharp knife, score dough into 8 equal triangles, then pierce all over with fork. 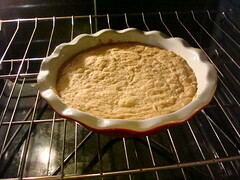 Bake until shortbread is cooked through and pale golden, about 45 minutes. 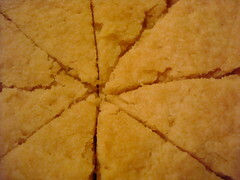 Using tip of sharp knife, cut warm shortbread into triangles along scored lines. Run knife around shortbread to loosen. Cool in pan at least 30 minutes. Using spatula, carefully remove shortbread from pan. Can be made 1 day ahead. Store shortbread airtight in single layer at room temperature.